China Preparations 2008 — Notorious M.L.E. So, I am kind of big into reading... and thanks to the Internet and the public library you can pretty much learn about anything you want. Right now, I am "training" up for our China trip. This is a not-so-scientific self-designed program. 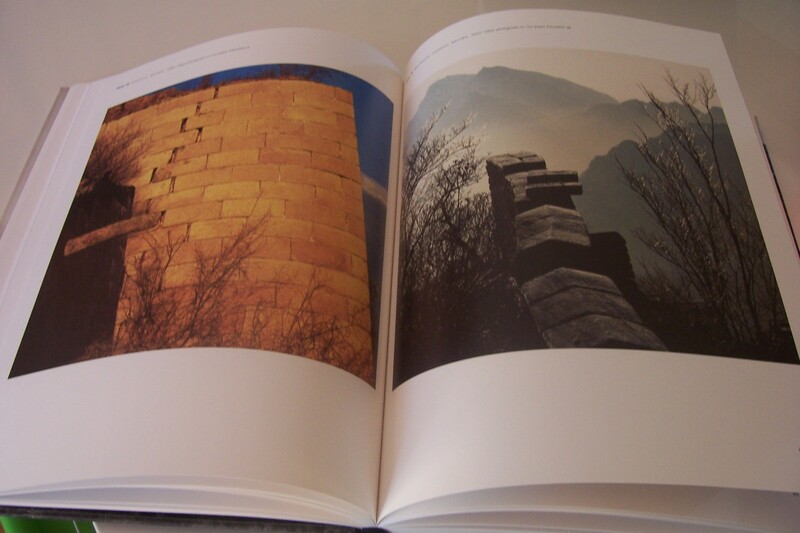 Right now I am reading a book about the great wall. It is totally my kind of book (tons of pictures!-see pic above). I am also trying to learn some basic mandarin so I can do important things like order food and find bathrooms. So far, I can only have missionary Mandarin under my belt. I can say "Hi", "Thank you", and "Jesus loves you". Being a missionary is illegal in China, so I'm guessing I won't have much opportunity to use the last phrase. And although I am totally overwhelmed by the whole tonal issue in Mandarin, one thing that is awesome is that there is NO VERB CONJUGATION! How awesome is that? The second book I read about China was the memoir of an American woman who lived in Peking during the cultural revolution. It was a very good book, it's called "Go gently through Peking" by Lois Fisher. Since China has obviously changed a lot since the 70s it'll be interesting to see what is different. One thing that I think it the same is that apparently killing flies according to Lois "is a very important to the daily Chinese cleaning regimen". I think this is probably be true because when my friend Emily first came back from China she brought us back these weird electric fly-swatters. You would switch the thing on and the fly-swatter grates would electrocute the poor little buggers without having to be too precise about hitting them hard. Of course everyone we knew decided to touch it to see if it really would shock you. I'm not sure what this says about Americans. Anyhoo, when we get back from China I'll be able to report on whether killing flies is indeed an important part of the Chinese housekeeping. Posted on April 12, 2008 by La Emily and filed under Adventures in the World and tagged China.